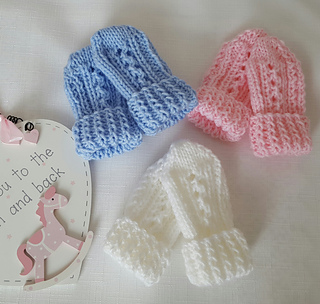 Ideal for keeping your little one warm and cosy and so very quick to knit using less than 20g of yarn. Knitted flat on two needles using double knitting yarn (light worsted) they are great for using up those bits of yarn left over for larger projects and also ideal for the charity knitter. SKILLS REQUIRED: You need to be able to knit, purl, increase and decrease. NEEDLES: The mittens are knitted flat on single point needles.